Before doing anything we need to do it test sample. Test sample we are working to determine how much snout we need to impose in width and how much we are going to knit in the desired item. 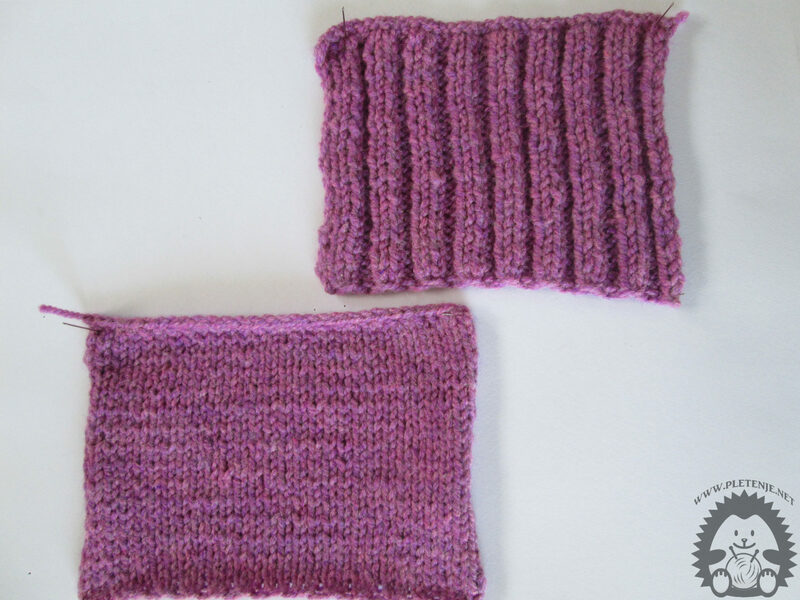 Their number depends on the thickness of the wool, the number needles, firmness, but also the choice of the pattern we combine with. Using a test sample, we will easily calculate how much snapshot we need for each job and how much we need it to make it. It is necessary test sample is at least 15 * 15 cm so that we can easily determine its elasticity. The picture shows two twists made with different patterns, but with the same thread and needle, so their different elasticity is clearly visible. Also if two people work with the same thread and the same needle the same pattern will be different in size because we do not combine all with the same strength. Samples should be attached to the substrate: styrofoam or firm sponge, but not very tedious. We need a trimmer or usually straight. There are both vertical and horizontal straight lines to help you calculate your eyebrows. 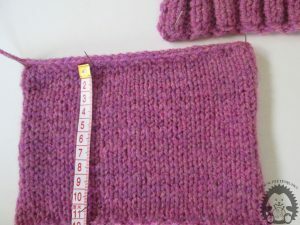 To calculate how much you need to apply at the beginning of the knit, take the trimmer meter and mark the 10 centimeter horizontally in the middle of the pattern. Count how many eyes you have in these 10 cms. In our example, we have 15 eyes. Divide 15 with 10 cm and let 1,5 look at us in 1 cm. If we do a pillowcase of 30 cm. We multiply 30 cm with the number of eyes and we need 45 eyes for 30 cm width. When calculating the number of required rows in the desired object, the lattice meter is placed vertically and counts the rows in 10 cm. We have 25 rows in 10 cm. We split this up and get a 2,5 order for one cm of height. 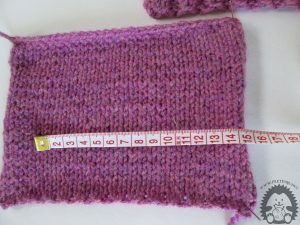 So for 30 cm, 75 rows are required. For more information see the video or visit our Youtube channel.